There are so many twists and turns in this alternately chaotic and funny book you will finish it in no time! I grew up in the 1970's with a Mom who was 30 years older then me. I love her dearly but could definitely identify with Ellison--Heck--my Mom is still insisting I think like she thinks and act like she thinks I should. We won't let her in to my little secret---I either yes her to death or ignore her and do what I want anyway. It took Ellison a bit to realize this fact of life. Meanwhile--she goes for a morning swim at the club and swims into a dead body--her husbands mistress. Then ot seems whereever she goes there is another dead body--and a lawyer her Mom hired and a totally gorgeous detective. At least she has her Dad who always has her back!! And her daughter--the typical teenage--and her dog!! But to put all this together you will will have to read this!! You better believe I will be reading more of this series. 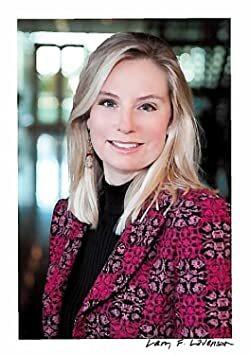 In addition to mysteries, Julie writes historical, romantic suspense. Her first romance, A Haunting Desire, was a finalist in the 2014 Golden Heart® contest and is available now. 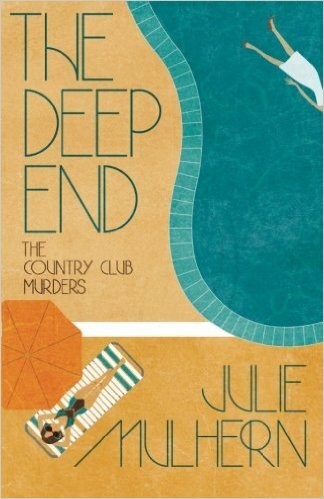 Look for book five in the Country Club Murders in May, 2017. Wow, what an intriguing plot. I am going to get this book for my last quarter reading list. Thanks for the review! This sounds like it would be a good read. I enjoy a good mystery, and I love it when there's some humor mixed in. This looks like an interesting book. And of course, as an author, I always love to see fiction promoted! Thank you. Thanks for the post about The Deep End (The Country Club Murders #1). It is very inspiring. And, I look forward to getting a copy today. I'm a sucker for books that have twists and turns--I love when they keep me guessing! You always post great recommendations, so I'm sure this will live up to the description. It sounds like she is in a pickle finding dead bodies everywhere. I like the humor she uses about her mother. Seems like a real page turner!! I am 30 years older than my daughter so I may have to check this out! I love books with twists and turns that can still make me laugh. I love that you shared that you "yes" your mom to death or ignore her. I am probably going to employ one or both of these techniques over the holidays! I love a good mystery book!! This sounds like a great read, I have never heard of this author before. This sounds like a great book. Thanks for the recommendation. This book sounds like a good read. I always love mystery book with a good plot. Love your recommendation! Omg this looks like one awesome read!!! I will have roads it to my winter reading list!! !